Did you know your mixing bowl lid can be used as more than just a lid? 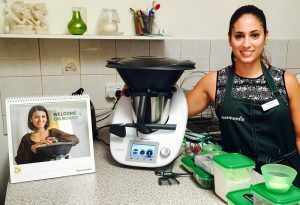 Just like all Thermomix parts, the lid has a multi-purpose. 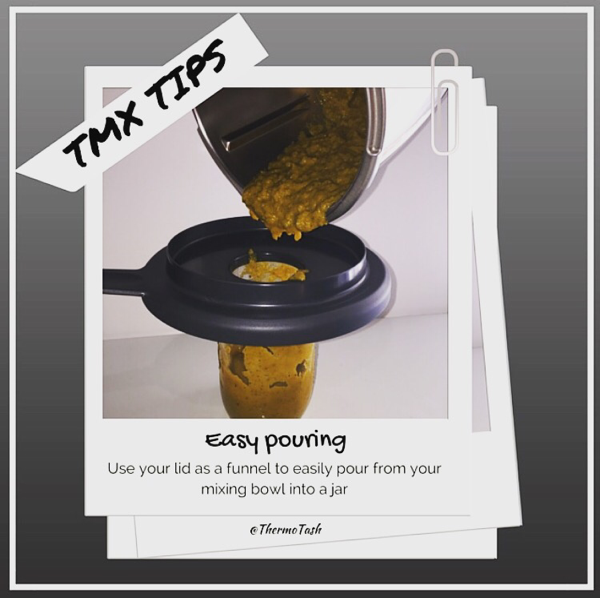 Use your lid as a funnel to easily pour liquid or vegetable stock paste from your mixing bowl into a jar or small container. 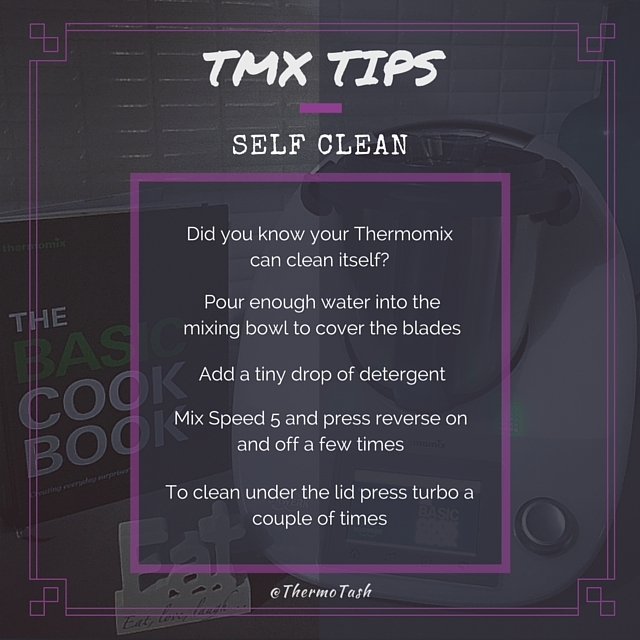 There are so many things to love about your Thermomix and the self clean function is definitely one of them! 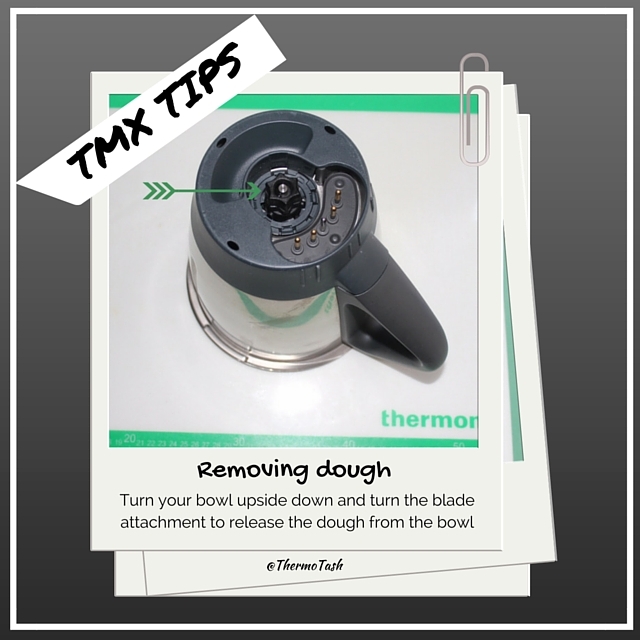 The self clean function is perfect to use after you have made something sticky in your Thermomix like fresh dough. 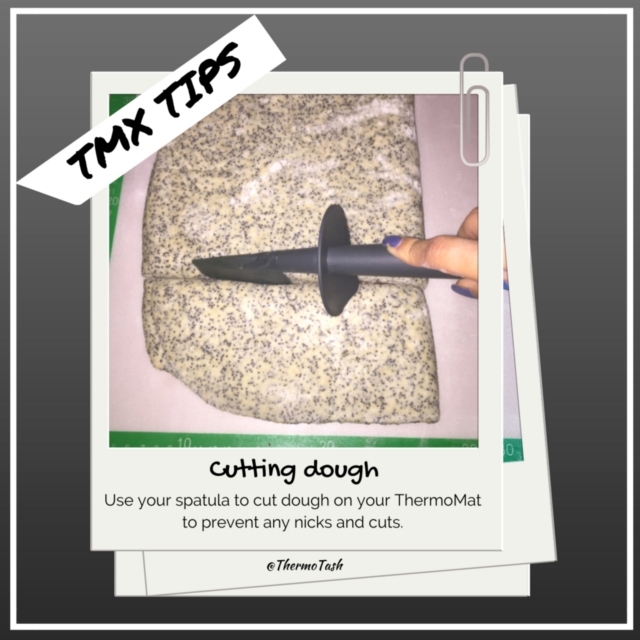 All you need to do is pour enough water into the mixing bowl to cover the blades. Mix on speed 5 and press reverse on and off a few times. 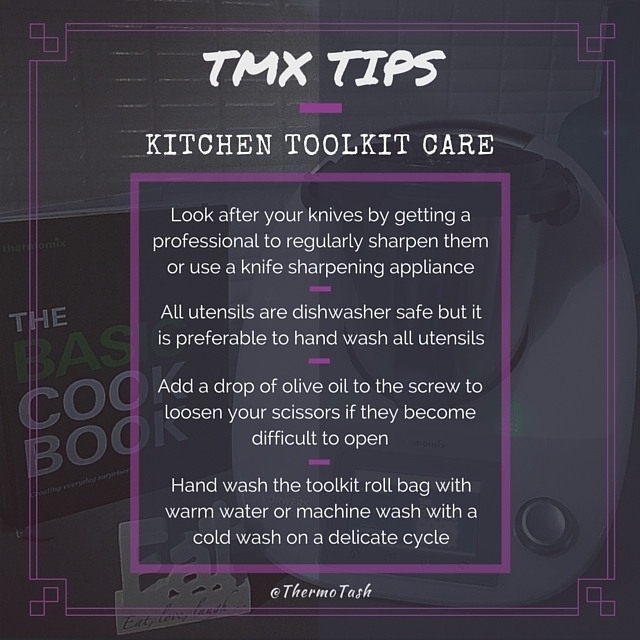 If you need to clean under the lid then press turbo a couple of times. Rinse under clean water and you’re done!